Over the past three decades, Mike McGetrick has become one of America’s premier golf instructors. 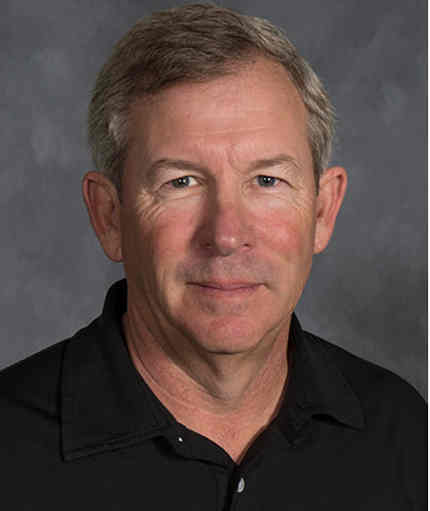 Mike was the 1999 National PGA Teacher of the Year, a five-time PGA Section Teacher of the Year and Colorado Golf Person of the Year in 2000. He has written a number of articles for GOLF Magazine and Golf Digest magazine and has been consistently rated as one of Golf Digest’s 50 Greatest Teachers in America. Mike has also authored a book titled The Scrambler’s Dozen – 12 Shots Every Golfer Needs To Score Like The Pros. Not only is Mike recognized by Golf Magazine as one of the Top 100 Teaching Professionals in America, but the Mike McGetrick Golf Academy has been selected as one of Golf Magazine’s Top 25 Golf Schools since the award’s inception.Throughout the course of his career, Mike has worked with many of the top golf instructors in the country in an effort to continually learn new ways to teach the game of golf most effectively for all of his students. He greatly appreciates the opportunities he had to work with Mike Adams, Todd Anderson, Mike Bender, Chuck Cook, Martin Hall, Hank Haney, Butch Harmon, Craig Harmon, Rick Martino, Jim McLean, Bill Moretti, Dave Pelz, Randy Smith, Jim Suttie and T.J. Tomasi and many other experts in the field of golf.Now an avid FlightScope user and Advisory Board member, Mike stands behind the company's consistent accuracy and quality of product.FS: When did you first start using FlightScope products? What model was it? MM: For the last three years, we’ve utilized two FlightScope X2 units at the Mike McGetrick Golf Academy.FS: What product(s) do you currently use and why? MM: At our academy, we use the X2 and mevo. We use our FlightScope units on a daily basis for teaching, club fitting and player training.FS: What is it about FlightScope technology, products, and the company in general that has made you a loyal user? MM: Many things - the quality and consistency of the product, the company education, and the fact that it is user-friendly for both our instructors and students.FS: What are your thoughts on the new FlightScope consumer model - FlightScope mevo - and how it might help grow and improve the game? MM: Mevo is a great unit for analysis and training. Our students like the fact that they can travel with the mevo in their golf bag.FS: What is your favorite golf course? MM: Too many to mention, but I really enjoy playing old style golf courses (Chicago Golf Club) and studying the architecture of the course.FS: What is your favorite club in your bag? MM: Definitely my driver.FS: What other hobbies do you have outside of golf? MM: Aside from golf, I enjoy fitness, travel and fine dining.FS: Who is your favorite golfer of all time? MM: I enjoy many golfers for different reasons. There is something good in everyone.FS: Are you a fan of any other sports? Who are your favorite teams? MM: Yes, Denver Broncos, but I enjoy watching and following many different sports.FS: What accomplishment(s) are you most proud of? MM: The development of Colorado Golf Club - I was the original Founder of the Club.To learn more about Mike, visit mikemcgetrickgolf.com.